Sebastien Ogier and Julien Ingrassia (#1 Citroen C3 WRC) are the winners of the 87th Rallye Monte-Carlo, the opening round of the 2019 FIA World Rally Championship. 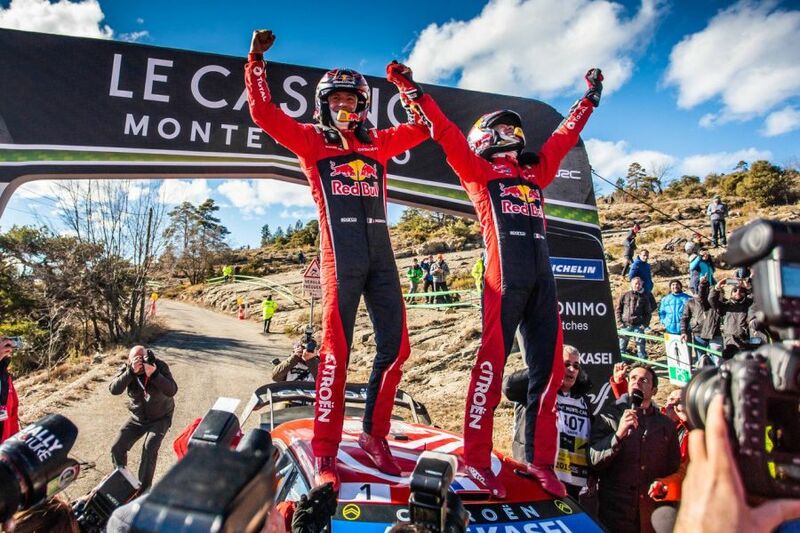 It’s the six consecutive victory and seventh in total for the French duo in the world’s famous rally race, the 45th WRC victory in a career and the first in their return to Citroen Racing. Ogier grabbed a victory in a heartbreaking finish, battling against Hyundai’s Thierry Neuville until the last meters of the last special stage. Ogier entered the last stage with just 0.4sec advantage and suffering from throttle issues on his car. In the end, after 15 stages and 323 kilometers, Ogier’s advantage is 2.2 seconds. Ott Tanak (Toyota Gazoo Racing) completed the podium after a fantastic fight against returnee Sebastien Loeb (Hyundai) and Jari-Matti Latvala (Toyota). Tanak was the fastest man with seven stage victories but his chance for a victory was ruined with a puncture at SS7 on Friday. He lost more than two minutes and dropped to P7. After that, he won all four stages on Saturday and two more on Sunday, progressing to P3 and defeating Loeb by thirteen seconds in a battle for a podium. Latvala finished fifth, 1.7 seconds behind Loeb, in his 196th WRC starts, which equaled him with record-holder Carlos Sainz. Kris Meeke finished sixth in his first rally with Toyota Gazoo Racing, showing a great performance, including a victory at Power Stage, but losing time at SS7 with a broken rim. Of other World Rally Car drivers, Andreas Mikkelsen (Hyundai) and Elfyn Evans (Ford) both crashed out, Esapekka Lappi (Citroen) stopped with a broken engine while Teemu Suninen and Pontus Tidemand (both Ford) retired and restarted under SuperRally rules, finishing outside Top 10. Four WRC2 drivers earned points in the overall classification – Gus Greensmith (Ford Fiesta R5), Yoann Bonato (Citroen C3 R5), Stephane Sarrazin (Hyundai i20 R5) and Adrien Fourmaux (Ford Fiesta R5). The next WRC event is Rally Sweden on February 14-17. Sixty-two crews are on the entry list.